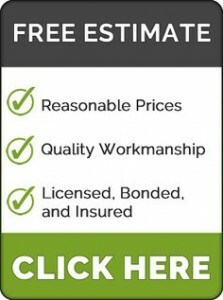 Call (559) 917-5336 to schedule a free in home design & estimate. The most important area of any home is the kitchen. The kitchen is the place where not only food is cooked, but the whole family unites at the end of the day. They don’t only add functionality, but they also add beauty to the home. When it comes to cooking good food or saving time when cooking, having an excellent kitchen design is very important. What’s more important is incorporating the right kind of cabinets in its design. Depending on your needs and requirements, you can get custom made kitchen cabinets. These will not only help you beautify your space, but they will also help you solve the storage problem. When working in the kitchen, people usually have a lot of requirements and standard cabinets may not be as useful as custom made kitchen cabinets. The standard cabinets may take up a lot of space or may not provide that much of space that you need to store your goods. However, if you get custom made kitchen cabinets, you don’t have to put up with odd cabinet sizes or fillers. You are also free to choose the color you want. Perhaps, you want the custom made kitchen cabinets in your home to complement the wall color or the rest of your furnishing. You will be able to achieve all that you need with custom designed cabinets for your kitchen. George Boyadjian is a cabinet maker with 17 years in the cabinet making field. Very knowledgeable about the different types of cabinets, finishes, construction and installation. Team up with one of our storage specialists to have your space professionally designed. You supply your storage needs, preferences and dimensions and we’ll create custom closet designs for you quickly, easily and expertly within four business days. Our goal is to send your requested designs back as quickly as possible, most of the time it can be done the same day. But, sometimes due to occasional spikes in demand and weekend volume, sometimes the requests may take up to four business days. We thank you for your interest. Take careful measurements, recording the width and height of every wall to the nearest 1/4 inch. Measure the width of your door, as well as the height of your closet. Take stock of the contents in your closet. Do you have several pairs of shoes or long garments? Consider what types of accessories you need to organize them (rods, shelves, baskets, drawers). Consider what type of shelving system will work best in your storage space (laminate/wood, wire).